Not everyone realizes it, but riders who use Uber, Lyft and other services are given a rating by their drivers, and those scores can affect how quickly you get picked up -- or whether you get picked up at all. You can't see your Uber rating, although you can ask Uber support or an Uber driver to tell you what it is. Ratings are from one to five stars, with five being the highest. So how do you ensure you get a good score? There are no official rules for how drivers rate passengers, and opinions among drivers vary widely. But here are a few tips to getting your full 5 stars, courtesy of an unofficial forum for Uber drivers. Several drivers said they always dock a star for not tipping -- which seems unfair, given that the tip is supposed to be included in the price of an Uber ride. Apparently some riders tip anyway, and so drivers have come to expect it. Keeping your driver waiting more than a few minutes could also cost you a star, and so might requesting a pick-up from a busy intersection. "It doesn't take much for some customers to be at 3 [stars] or less," one driver wrote. Not giving an accurate address and not being ready to leave within two minutes are things that will get you on that driver's bad side. Behavior that could get you at least two stars deducted includes leaving trash in the car, giving the driver attitude, or not tipping even when the driver helps you with your bags at the airport. Some drivers even want their riders to be chatty. "To get a 5, they either need to tip, or be on time and entertain me in some fashion," one wrote. Another said you can lose a star because "you make little to no effort to engage in conversation with me (this isn't a taxi)." Not all drivers are so harsh. Some said they routinely give five stars unless there's a major issue, and one called the whole rating system childish. "As a businessperson generally, I follow this - I get paid - you get a 5," the driver wrote. It's hard to be sure how much impact the system has. One or two drivers said they'll pick up almost any passenger regardless of their score, because they need the business. But some drivers clearly avoid riders with low scores, especially people with one or two stars. It's not hard to guess what types of behavior will get you a one-star rating: vomiting in the car, criminal behavior and being obnoxious are prime candidates. 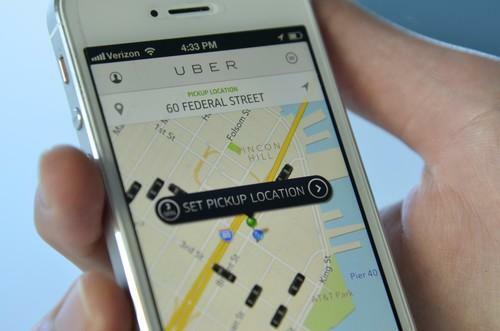 Uber has said it's exploring ways of showing the rider's rating in a future version of its app. Some drivers have been deactivated for consistently poor ratings, it says, and riders have been barred or given temporary cooling off periods.